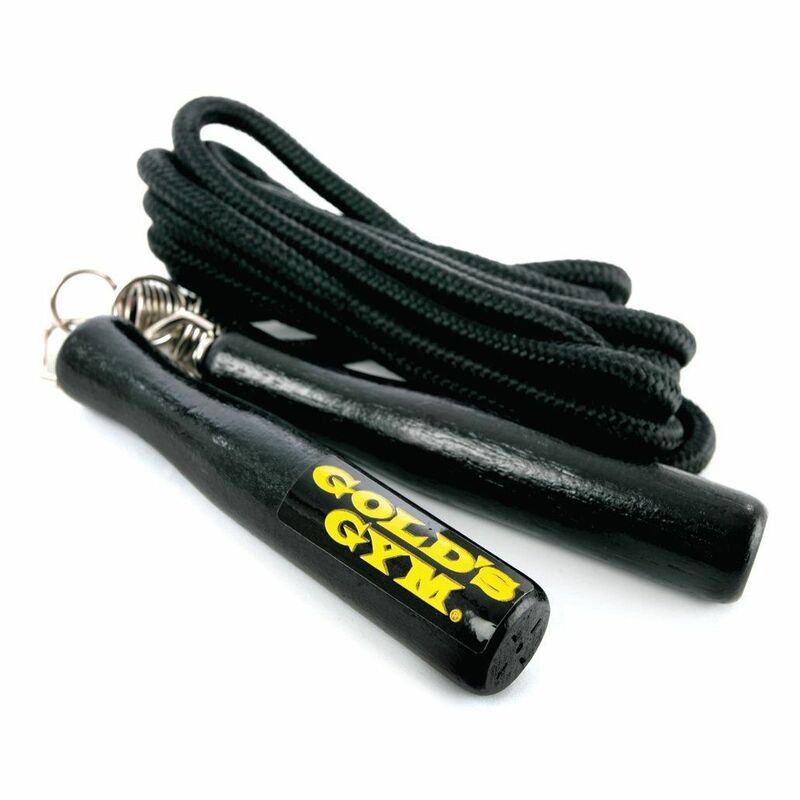 The Gold's Gym swivel skipping rope is excellent for cardiovascular exercises which are necessary for anyone who wishes to maintain a healthy lifestyle. This 9’ (2.74m) nylon skip rope utilises swivels ensuring effortless skipping action and ease of use, as well as contoured wooden handles that provide a perfect grip. The rope has the Gold's Gym logo on the handles and comes in a black colour. for submitting product review about Gold's Gym Swivel Skipping Rope.